Hidden behind the beauty of the Kii Three is an amazing speaker that is small enough to fit easily into modern living spaces. It doesn’t take over your home like many large audiophile systems. 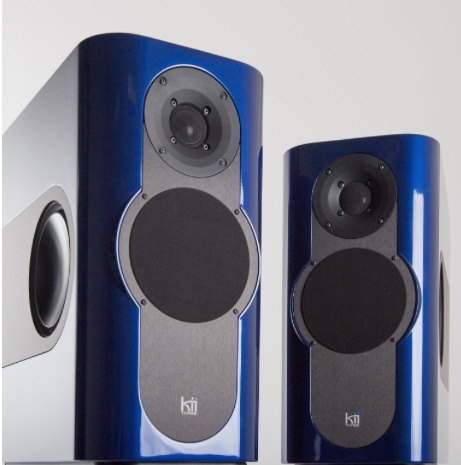 With the Kii Three, there is no need for separate amplifiers as they are built into the speakers. 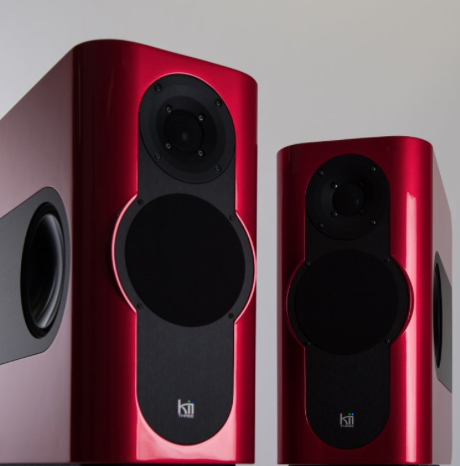 Built with advance technology from the ground up, Kii’s active speakers are not only exquisitely designed, they’re a powerful audiophile speaker system that effortlessly out-performs all others regardless of price. 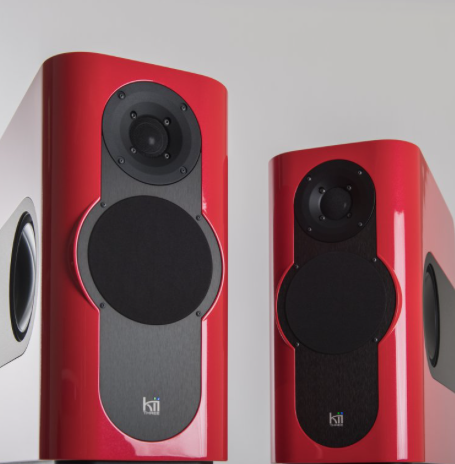 The reviewers love them, everyone that hears them loves them – they simply look and sound beautiful! 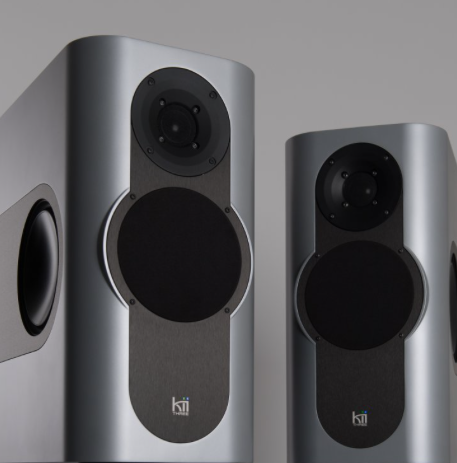 So what is it about the Kii Three speakers that makes them different? 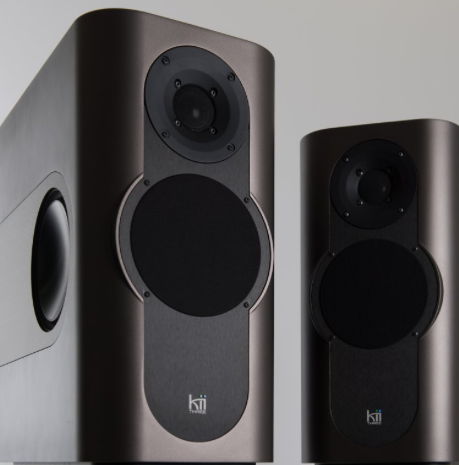 Well, they are active loudspeakers which means they have built in amplifiers - in fact six 250 watt amplifiers to be precise, one for each loudspeaker driver. Four 6.5”woofers, a 5”midrange and a 1” tweeter all sit with the amplifiers and DACs in a compact enclosure which can be placed on a stand or bookshelf. The fact that the amplifiers are built in means you can connect your source directly to them. For example, you could take your Roon compatible source and play the music stored on your hard drive straight through the speakers without the need for external amplification. What is unique about the Kii Three’s is that you don’t need to worry about the placement of the speakers. They have Active Wave Focusing which means they filter the sound waves in a forward direction even if the speakers are placed close to a wall. This offers a tremendous advantage with low frequencies making them sound much larger than they look! 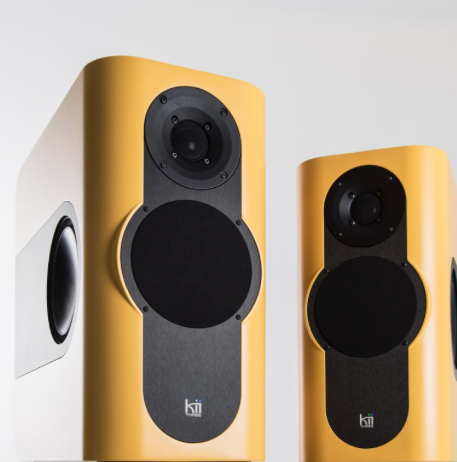 The speaker design is both elegant and modern and is available in standard colours of graphite and white or any range of custom RAL gloss or matt colours so you can design them to easily fit into your own classical or modern environment. Ultra compact controller/preamp/USB interface for the Kii THREE loudspeaker The Kii Control is the perfect addition to your Kii THREE loudspeakers enabling you to connect additional digital inputs up to high resolution DSD. The inputs are located on the backside connector and can be activated by touch buttons around the volume control. 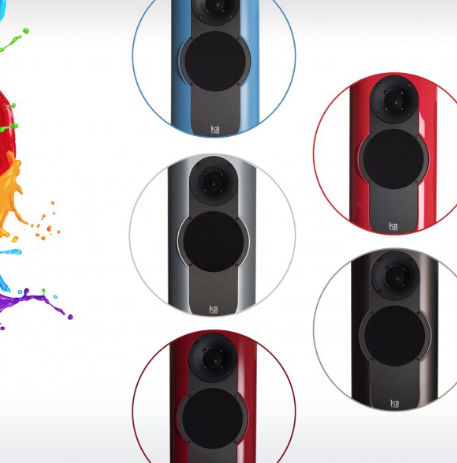 A dedicated touch button provides direct music access to up to six user definable presets. The Kii Control connects to the speakers by a single CAT6 cable with no additional power supply necessary. 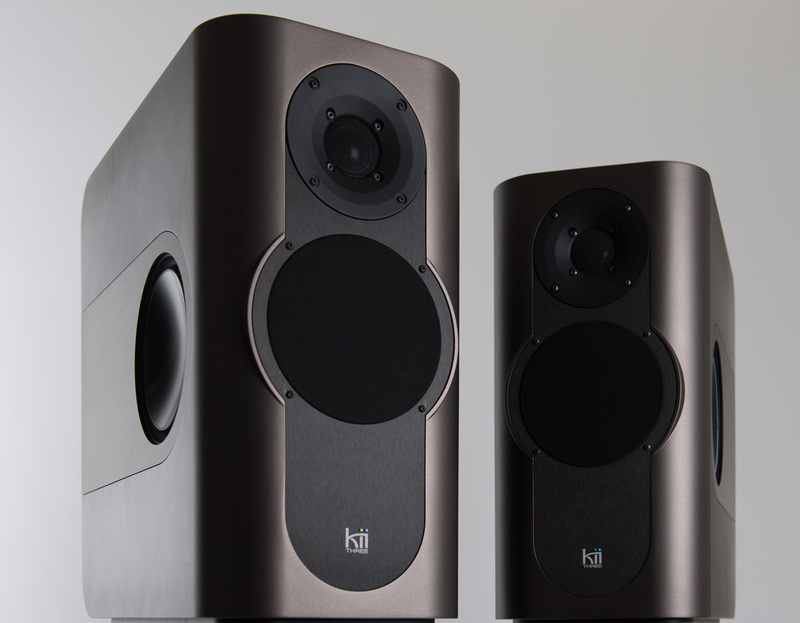 The Kii THREE Hi-Fi stands are perfectly designed to go with the Kii THREE loudspeakers. They are made from high quality steel and are powder coated in black RAL 9005. The tubes are sand fillable to eliminate eventual resonances and vibrations. 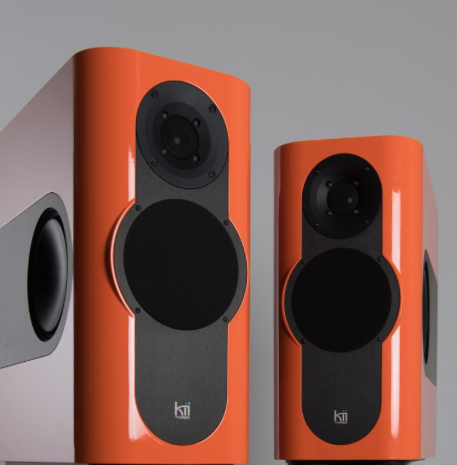 They are 70 cms tall to fit the perfect home listening height and are supplied with M8 spikes. 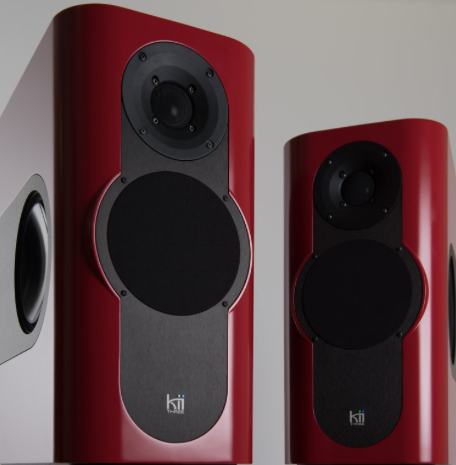 The BXT is an extension module which turns the Kii THREE into a veritable floor standing loudspeaker with 16 additional drivers and a total output power of 7000 Watts. 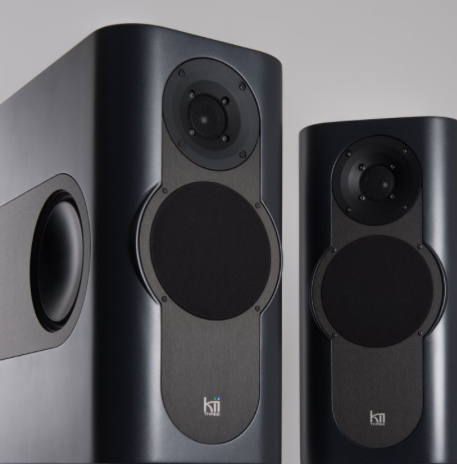 Launched at the Munich 2018 High End Show and with expected availability towards the end of 2018, the new Kii THREE BXT System makes full use of the Kii THREE’s technology and adds more frequency range and SPL to the game while still being a cardiod system that despite it’s size, does not interact with the room. Astoundingly smaller sized rooms profit greatly from the line source concept. 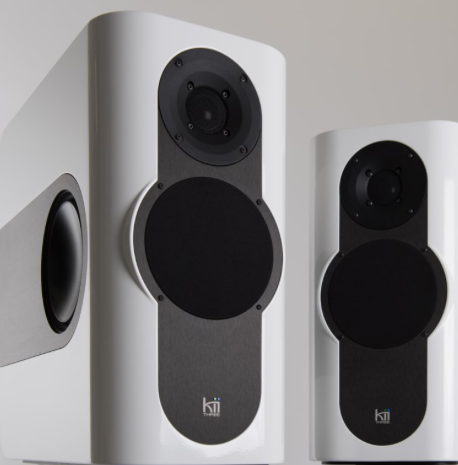 2 x Kii Three loudspeakers in high gloss white, graphic matt metallic or any custom colour of your choice. 2 x BXT modules in the same or contrasting colour. Inputs: USB, SPDIF, TOSLINK, AES, ANALOGUE. All mains and connecting cables.